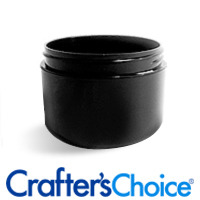 Perforated for easy removal, this shrink band fits jars with a 2.25 to 3.0 inch diameter. COMMENTS: These bands are the perfect size for the round tubes! COMMENTS: I seen these while looking for shrink wrap bags. I will say I'm excited to use these! COMMENTS: Use this to package products . COMMENTS: These keep your product safe from marauding sniffers. Just the thing to keep them from opening EVERY container at the farmer's market and your customers know their product has arrived unmolested. COMMENTS: The wrap bands are so easy to use. My whipped butter jars looked so neat after packaging. I simply used my heat gun to seal them. COMMENTS: Love these shrink bands, easy to use and give a professional look to my whipped body butters. Easy to remove and shrink for a perfect fit. COMMENTS: These are just the right size for shrinkwrapping bath bombs. COMMENTS: Perfect fit for our 15 color eyeshadow palettes. They keep everything safe & protected & our customers love the security of knowing they have never been handled or test by anyone. COMMENTS: These are the perfect size to use as a cover for cigar band labels on my molded bars. They keep the band clean while still allowing my customers to smell the soaps. I love these things! COMMENTS: So perfect for my homebased store! Now the customers can only open the tester jars!!! 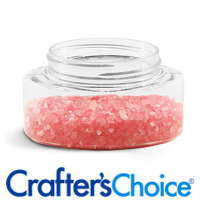 "Excellent shrink wrap for 4oz jars sugar scrub"
COMMENTS: I used this size shrink wrap for my 4oz sugar scrub PET jars. They fit just right and looked great!!! !Will buy again!!! COMMENTS: Works perfectly for soaps. I cut them in half....2 for 1....plus works great for bath bombs! COMMENTS: Love these shrink wrap bands! I find they work well on the 8 oz jars. Gives our products a very professional look. Highly recommend. COMMENTS: I love these shrink wrap bands! They keep the labels clean, but more importantly, you can easily see if they have been tampered with. COMMENTS: These are really nice, high quality, thick shrink wrap bands. I use them on 2oz and 3oz jars and they fit perfectly. COMMENTS: I've used a few different types of shrink bands, and must say I'm not a fan of these. They are a bit thinner than the ones we are currently using and that caused them to break during shrinking. The one thing that I must say I do like is that they fit most of the jars and bottles on this site better than any other shrink bands we've found. COMMENTS: I bought these to put on my jars that I put lotion bars in and they are perfect. I will order them again. COMMENTS: Holds our product well. Just be careful when shrinking that you don't over shrink the perforation. "Best for 4 oz jar 70/400"
COMMENTS: The recommended band for the 4 oz jar 70/400 is 115 X 55, but it is so tight that it catches on the label. These are looser, but I'd rather have it loose, than to struggle with the 115 X 55. "Great add-on to our Sugar Scrub packaging"
COMMENTS: We purchased these bands to keep our emulsified sugar scrubs leak-proof and tamper resistant. We couldn't be happier with the results... no leaking. The bands were easy to apply using a heat gun, and the perforated edge allows for easy opening of product. 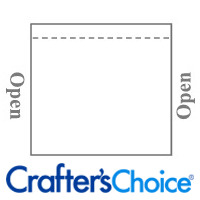 COMMENTS: My customers love the professional touch this adds to my jars! COMMENTS: These help make my products look professional and keep them from being tampered with! Great price! COMMENTS: Very easy to use! 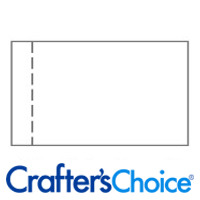 COMMENTS: I bought these bands to use on my double wall jars and they fit perfectly. I have since switched jars, but have found multiple other uses for the bands such as wrapping melt & pour soap. Very versatile and easy to use. COMMENTS: I like the way it keeps the labels nice and it keeps the customers from being tempted to open the jars. 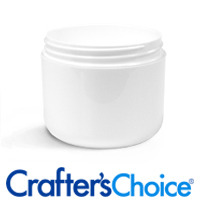 "Adds Professional Look and Easy to Use"
COMMENTS: This is the perfect size for the 4 ounce white double wall jars. I sell over 800 shea butter creams per year. The shrink band and the inner seal add a professional touch to my product. 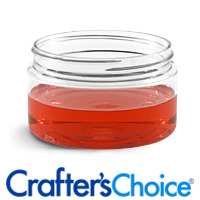 COMMENTS: I originally purchased these to secure my lids on my 8 oz straight sided jelly jars which they work perfectly for but I have found that they are a great size for multiple uses,everything from soaps to making sets, these are great! "I saw in an earlier question that you recommend a 155x55 for an 8oz jar. Was that referring to a glass jar, plastic jar, or both? I use both 4/8 oz (and pint) plastic and glass mason jars, so wanting to make sure I get the right bands for all of my jars. I have been measuring and reading over the descriptions here, but am still just really paranoid about getting the right ones. Ty." Staff Answer This was referring to the 8 oz. Clear Basic Plastic Jar for use with the 115 x 55 shrink band. We do not sell glass jars so we cannot suggest a size for those. Thank you so much. May I ask what size you would use for a 4oz plastic jar as well? Staff Answer If you are referring to a 4 oz. Clear Basic Jar, we recommend using the 95 x 55 band. Most of the jars listed on our website should have this information if you are looking at other sizes. "What is the thickness/gauge of your shrink wrap band 120mm x 55 mm? Are the rest of the bands the same gauge?" "What size band fits an 8oz jar? 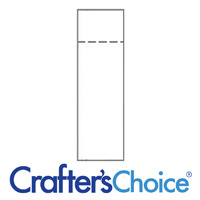 Thanks"
Staff Answer Hi Natalie, the best shrink wrap band for an 8 oz. jar is 155x55. "If I were to use these on plastic jars, would the jar melt when using the heat source to shrink the bands?" 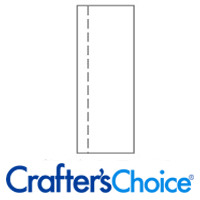 Staff Answer We have not had any issues with the jars or bottles melting or warping when using the shrink wrap bands. The best method would be to use a blow dryer on the lowest setting and continue to move the dryer in a back and forth motion and holding it in one place for any length of time. You may switch to a higher heat setting if the lower setting does not produce the desired results. "Does a hair dryer provide sufficient heat to shrink them to the product?" Staff Answer It does provide enough heat. This is how we shrink the wrap in the lab. It takes a minute to get the heat generated from the hair dryer and then you are good to go.